The weather is pretty grotty here in the UK, not too cold, but wet. Very wet. And windy. So here’s an old publicity shot to warm the cockles. Going out to anybody in the UK who is under water, or anyone in the States who’s having it a bit chilly at the moment! Pic shamelessly stolen from the Girls & Machines Tumblr blog. 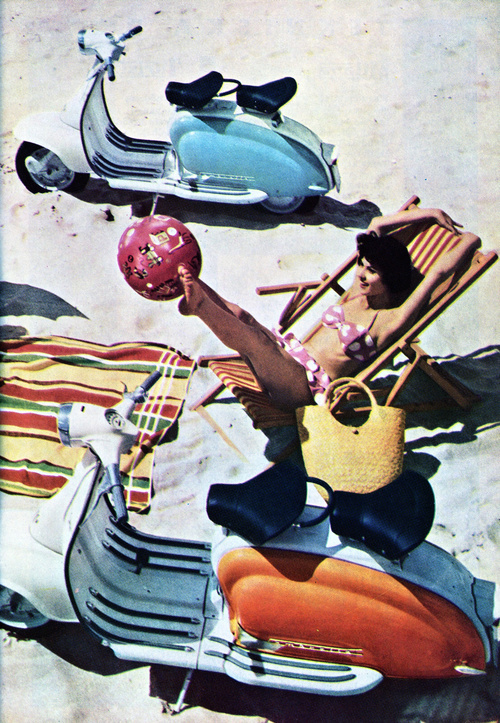 This entry was posted in Lambretta Imagery and tagged 1962, Lambretta, Publicity Shot, Series 2 by crocodilejock. Bookmark the permalink.